Influential reggae and dub producer and musician who produced Bob Marley's early Trojan material and produced many of Studio One's output in the 60s. 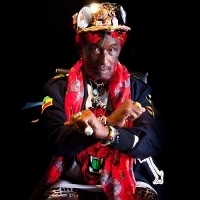 He founded the Upsetter label (and the backing band The Upsetters) and released his first single in 1968 ("People Funny Boy"). His eccentricity can be highlighted with the construction of his studio The Black Ark in 1973, before allowing it to burn to the ground in the early 80s. His heydays have been numerous but include his Upsetters period with "Return Of Django" and '80s era with "Time X Boom De Devil Dead" (on On-U Sound).